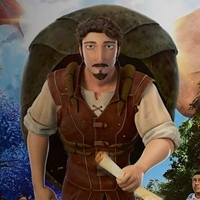 In US theaters Easter week, this animated film based on the second most published book after the Bible, will later be available in 100 languages. On the homepage, check out the free interactive storybook with scenes from the film – great lesson for all ages! How does Christian escape from Giant Despair? The more people in theaters April 18 & 20, the faster other languages will be produced. This post doesn’t seem to explain how the movie is free to the mission field… could you expand on how missionaries can see this for free? Hi Thomas. We asked the contributor of this idea to come on board and give more details on this. Hi. I’m also interested…referred to this book the other week in a discipling Bible study. Having the movie to watch would be really helpful!